RYAN: I loved this movie so much! 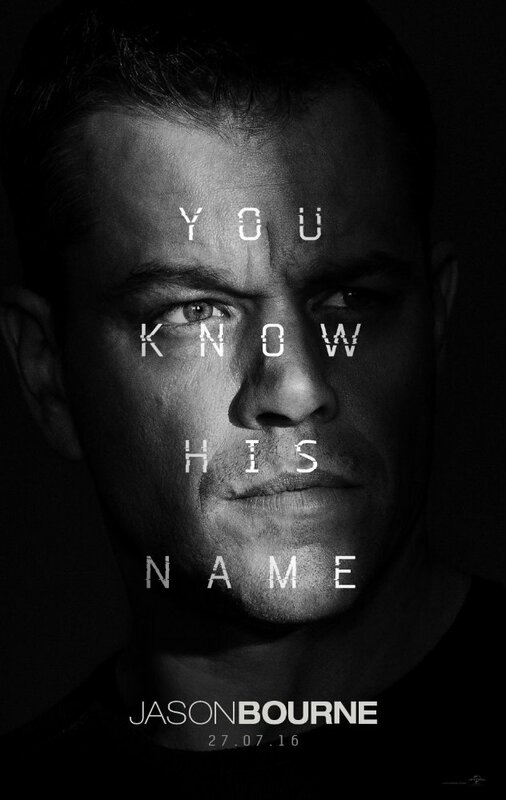 It’s so great having Matt Damon back and the screenplay is so great because it ties back to the very beginning of the franchise. It’s so smart. The action is incredible, I literally stopped breathing at one point. BECKY: I don’t think you breathed the whole movie. I could sense your tension and I was feeling it too! I wasn’t aware when it began that it would be as good as it would be. RYAN: It’s so detailed and layered. There’s a lot of backstabbing and sabotage and wondering who to trust. It keeps you on the edge. It’s brilliantly done. It’s intricate but never confusing. BECKY: Whenever there is so much going on, I usually get confused, but I was also completely comprehending everything going down during this. BECKY: (laughs) So true! What else has she done? RYAN: Well she played Jennifer Lawrence’s sister in Silver Linings Playbook but really not much else. And also on the hater bandwagon, it’s very difficult looking at Tommy Lee Jones. BECKY: No kidding! I’m glad I’m not the only one thinking that. My stomach was growling, I was so hungry, but then when I saw him I stopped being hungry. RYAN: (laughs) Oh that’s telling. BECKY: They put no makeup on him because there’s nothing you can do. RYAN: I don’t know how he turned out like that. And he’s the same in every movie – he acts the same in everything. But Matt Damon – phenomenal and then we have recent Oscar winner Alicia Vikander who is just sublime. I was hoping she’d have a meaty role and she does. RYAN: You can really read her, beyond her language. She’s so young and beautiful but has so much power and plays intelligent so well. BECKY: This movie has car chases, guns, computers, schemes, Matt Damon – if you like any of that and hate Vegas traffic, you’ll love this movie! RYAN: Oh the car chase, the carsploitation on the Vegas Strip is amazing. And the whole vibe of the film is very Dark Knight. It’s such a big blockbuster. BECKY: And there’s a lot of techy, self reflexive things that make you second guess who and what to trust. RYAN: And one stunt scene, in particular, was so unique and cool that I lit’rally marveled at it; like, how did they do it? I don’t want to give it away but you’ve never seen anything like it before in a movie. BECKY: And it was violent and bloody as Hell, but I’ve never seen you so amped up, smily, after a movie. RYAN: (laughs) Right? It just all was so wonderful. Who new that would happen? I felt like I had 50 cups of coffee – when a movie is this good, you just walk out all excited. It’s a great feeling. It’s thrilling. I want more of this franchise right now.